You can get as many deliveries on the road as you need. As fast as you need them. 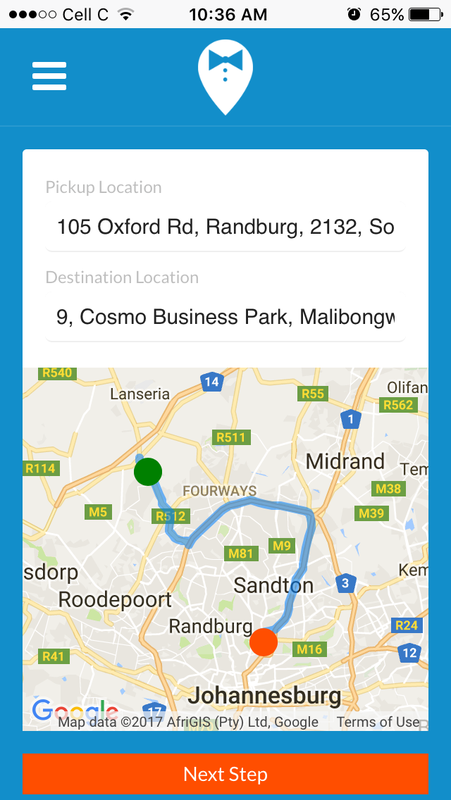 Real-time tracking means you and your customers can always see where the delivery is on the map. This visibility helps make for smoother pickups and dropoffs. We also notify them when the delivery partner is arriving. Real-time tracking goes a long way towards customer satisfaction.The Courier Butler is each individual parcels very own customer service agent. IMPORTANT Please read our terms and conditions of carriage very carefully. Take note TCG’s LIABILITY IS EXCLUDED as well as that of its employees or agents for loss, damage and delay in certain circumstances. TCG’S LIABILITY IS LIMITED to stated amounts where liability is accepted. STRICT TIME LIMITS apply where NOTICE OF CLAIMS is required. It is your duty to obtain insurance cover to protect your interests. In the event that the Customer has indicated on the waybill that assumption of liability by TCG is required and the declared value exceeds R2,500.00 (TWO THOUSAND FIVE HUNDRED RAND), the fee charged for assumption of liability by TCG shall be 2% of the declared value but not exceeding R10,000.00 (TEN THOUSAND RAND). the customer shall be responsible for the first amount or excess amount as follows? The Customer and/or the Sender appoints their address as set out under “Details of Customer” in the Credit Application as his domicilium citandi et executandi for all purposes relating to his agreement and may amend this in writing to TCG within seven (7) working days of the change.